14 November 2017 Ennis, TX- The Limited Pro Stock class is the largest and most competitive class in the NHRDA Diesel Sled Pulling Series. The 2018 season saw pullers from all over the US fighting it out for the NHRDA National Championship. At the end of the season there was a new name on the trophy. 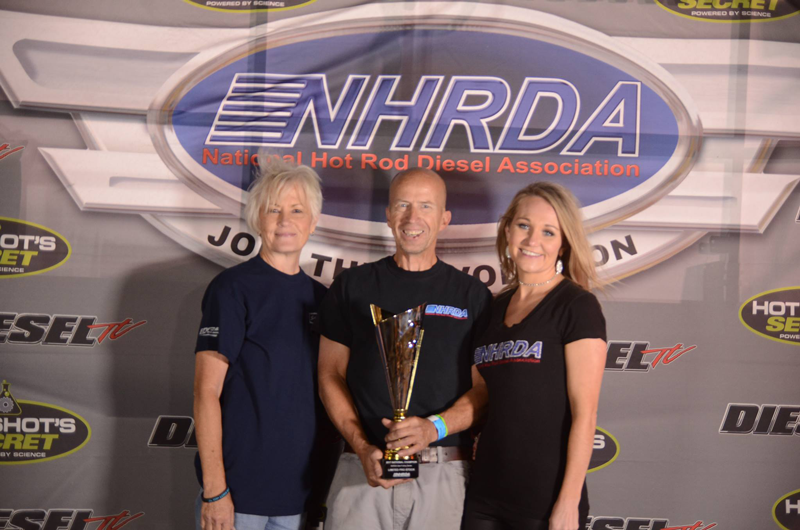 Steve Durrant, of Salt Lake City Utah, beat out all the other Limited Pro Stock competitors for his first ever NHRDA National Championship. Durrant and his wife Joy traveled all over the US as they chased the title. It wasn't until the final event of the season, the NHRDA World Finals, did they finally clinch the National Championship. 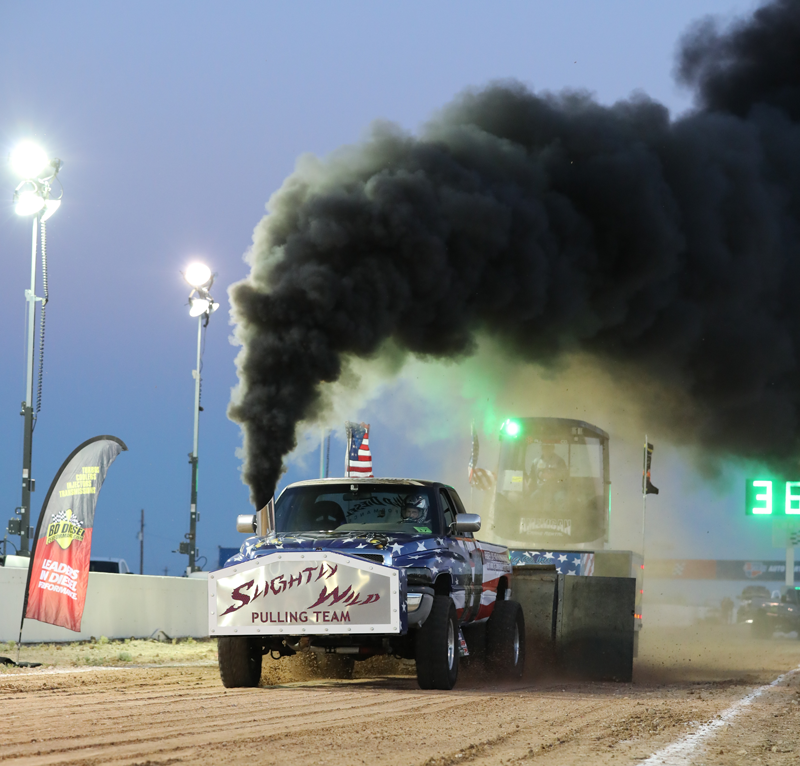 Durrant and his truck Slightly Wild made their first appearance of the year at the Strictly Diesel Desert Diesel Nationals at Wild Horse Pass Motorsports Park. The Durrants made the drive down to Arizona looking to soak up a little sun and take home a trophy. Durrant and his truck made a great pull of 355.07 feet to start off their season and Steve was very happy with the performance of the truck. Steve would end up finishing in second place. 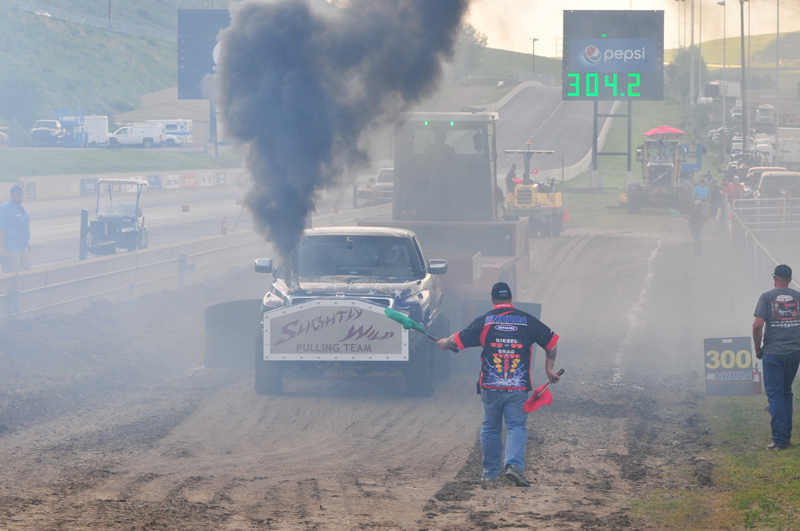 The Durrants' next event on the NHRDA Diesel Sled Pull Series was Diesels on the Mountain at Bandimere Speedway. 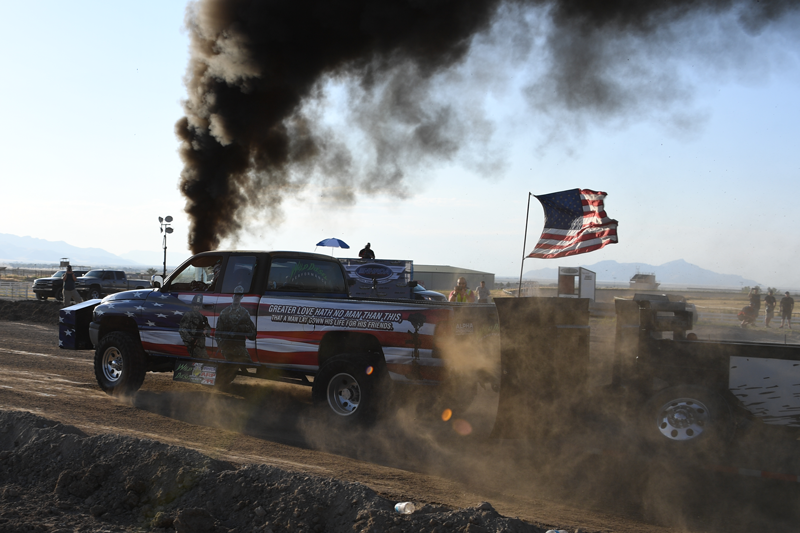 Steve and his wife were very excited to try their luck at the brand new sled pull track at Bandimere Speedway, it was the first time in over 30 years that a sled pull would take place at the historic drag strip. Slightly Wild started well and was pulling hard down the track. But around the 300 foot mark the truck started to nose over and gray smoke came billowing out of the stack. Durrant would go on to finish in third place with a distance of 300.07 feet and moved into second place in the National Points. Steve and Joy were now focusing on the Industrial Injection Rocky Mountain Diesel Nationals in Salt Lake City. It would be a hometown event and all their family and friends would be there to cheer them on. Durrant and his team had Slightly Wild prepped and ready to go for the Industrial Injection Rocky Mountain Diesel Nationals. It was the first NHRDA event ever in Utah and everyone from the region was looking forward to having a NHRDA event in their back yard. Steve's first attempt didn't go as planned he left the starting line and the truck was struggling to gain momentum. He then put on the brakes and was able to get the truck stopped before the 100 foot mark, meaning he could then make another attempt at the track. The second attempt was much better. The truck left the line smoothly and it started to gain the momentum that it was supposed to. Durrant blew past the 300 foot mark and stopped at 348.20 feet. That distance put Steve and Joy in the Winner's Circle as the Limited Pro Stock Champion. In the Winner's Circle Durrant explained to Diesel TV about his truck and the special wrap, "The truck is dedicated to the Veterans and the people on the truck as currently active military. My truck is a huge thank you to all the service men and women and first responders. They don't get enough credit for what they do and this is my way of saying thank you." When asked about the National Championship Steve was very happy, "We are currently tied with Amalee and we still have two events to go to win the National Championship. We will be in Billings and looking for another win and more points." Steve and Joy showed up at the G & J Diesel Big Sky Truck Fest wanting a win and National Championship points. Durrant was the second truck scheduled to pull in the Limited Pro Stock class. The truck left the line and started to gain speed as it headed down the track. Durrant would pull a distance of 285.47 feet. The distance would be good enough for second place and valuable National Points. Durrant would be heading to the NHRDA World Finals with the points lead. Durrant and his team made it to the NHRDA World Finals but it wasn't without stress. The team went to a pull the weekend before the World Finals and completely destroyed their competition motor. They had to scramble to find a replacement one in time for the World Finals. The team found a junker motor that would work so they bought it and threw it into the truck. Steve took the truck to tech and passed. Steve knew then that he would be the 2018 NHRDA Limited Pro Stock National Champion. Durrant knew that the motor he had in Slightly Wild would have a hard time competing against the best Limited Pro Stock trucks in the world but he is a fighter and a competitor and wanted that NHRDA World Champion ring. The truck pulled to the line and when he brought the rpms up the engine died. The truck never even moved. Steve jumped out of the truck to see if he could find the issue and as soon as he lifted the hood he saw that the throttle cable was broken. There would be no World Championship for Durrant and the Slightly Wild team. In the Winner's Circle Durrant told the Diesel TV cameras, "It was a great season of for my team and me. We showed up to the World Finals with a wounded motor but we wanted to win the National Championship and that's what we did." "I want to say thank you to my sponsors for helping me this season, Wild Diesel and Alpha Hydronics. I also want to thank my wife, Joy, for coming to these events and being there along the way." Durrant will now look towards the 2018 NHRDA season and will be looking for a repeat in the Limited Pro Stock class.